NECKLACE - SARAH COVENTRY. "SECRETS LOCKET" FROM 1972. 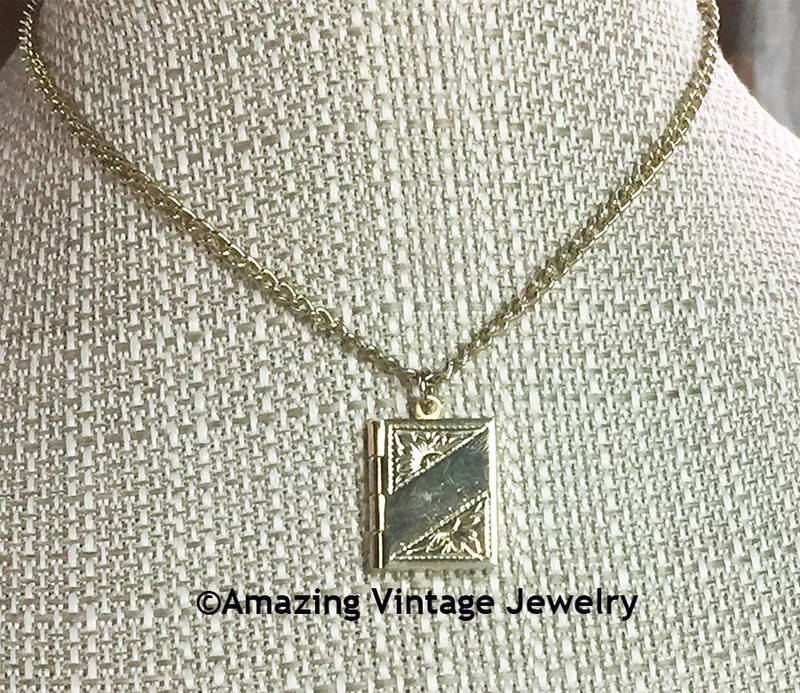 ORIGINALLY SOLD AS A NECKLACE FOR YOUNG GIRLS. 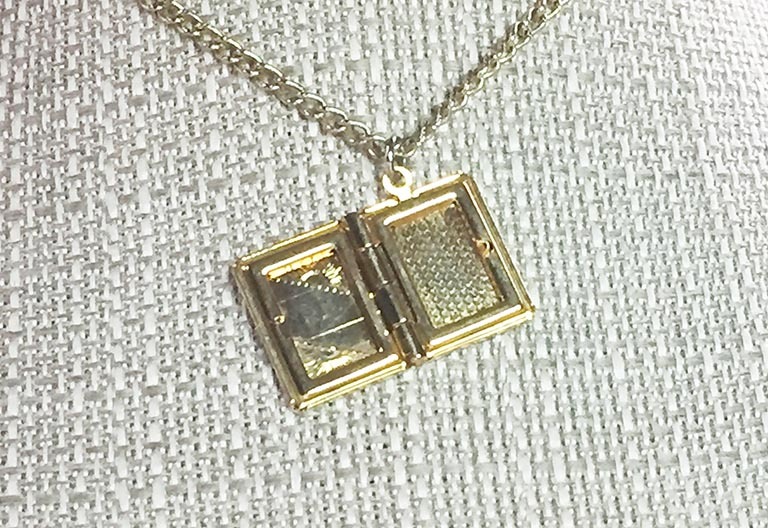 GOLDTONE "DIARY" OPENS TO REVEAL 2 SIDES WHERE PHOTOS CAN BE INSERTED. 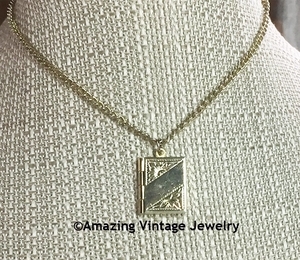 PENDANT IS 3/4" LONG, 5/8" ACROSS. CHAIN IS ABOUT 14" LONG (THIS IS THE ORIGINAL CHAIN).